In olden days, wood was the only source of fuel that was used for cooking. Then after some time, gas and electric stoves came into picture. Before this happened almost everything was cooked over a wood burning cook stove. When people used wood burning cook stoves, they had to figure out different ways to adjust the temperature because there were no knobs in the stoves. This resulted in the creation of certain unique textures and flavors which simply cannot be reproduced in new kind of stoves. Across the world, a lot of people still use Wood cooking stoves to cook their food on a daily basis. People in developed countries are also turning to Wood cooking stoves because of the ease of cooking and because of the flavor profile that it can provide foods. Electric and gas cooking options are of course more convenient, but no matter what you do, certain types of flavors can be produced only if you use a wood cooking stove. If you’re considering purchasing one, here are a few benefits that you are going to derive when you start using the wood cooking stove. 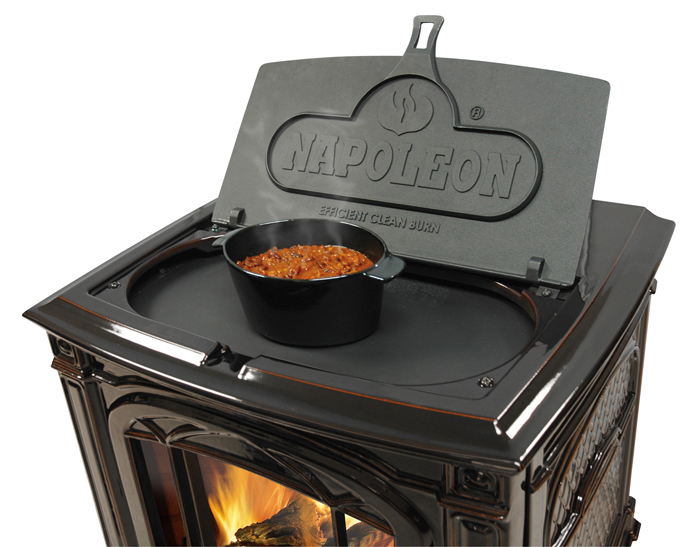 The food that you cook in a wood stove will taste spectacular because of the smoky flavor that is added to the food. Wood stoves are a lot hotter than any other type of cooking devices. So when you cook pizzas and breads in these types of stoves, the crust will be crisp and the inside will be well cooked and springy. This is the type of texture of a pizza base that is simply impossible to reproduce in a conventional type of oven. When you use a stove that runs on wood, it also gives you a lot of other advantages. If you live in an area that experience frequent power outages, you no longer need to worry about whether you will be able to cook your food or even warm your house without the power coming back. Wood is a cheap source of fuel, and it will burn for a long time. You will be able to cook your food whenever you want, also, during winters you do not have too dependent on electricity to warm your home. The wood cooking stove itself will generate a lot of heat that will warm your house. So when you buy a wood cooking stove, along with creating extremely flavorful food, you will also find that your utility bills are coming down. This is a fabulous advantage that you must definitely consider. How can you beat the health problems in men? ?